Even today, Post-Colonialism is a difficult and often a sensitive topic to discuss. But luckily the comprehension of a problem is the first step towards reconciliation. 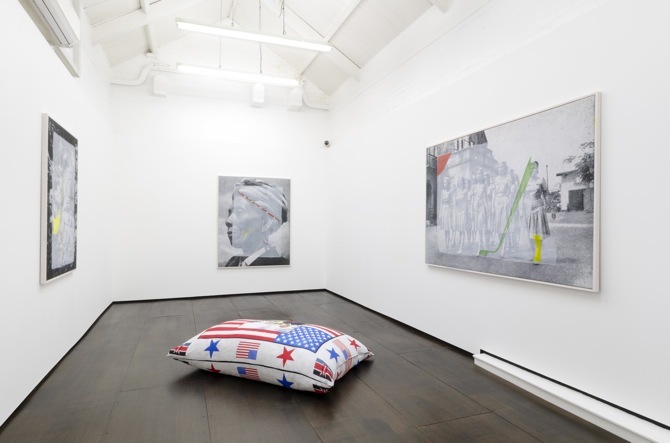 Questioning the exposure to this cultural and political debate, the group exhibition "Accumulation, Displacement, Deletion, Rearrangement and Insistence" at Narrative Gallery in London introduces works by the artists Nástio Mosquito, Carlos Noronha Feio and Richard Parry, who propose a rather self-ironic but nonetheless very aesthetic handling of post-colonial-theory. The circuitous title is an excerpt of a quote by Edward Said from his book 'Orientalism' (1978), which reads in full length: "Far from being merely additive or cumulative, the growth of knowledge is a process of selective accumulation, displacement, deletion, rearrangement, and insistence within what has been called a research consensus." Said was a prominent figure – in fact, one of the founders – of post-colonial theory, as 'Orientalism' criticised the Western view on the Orient as an irrational, mysterious and alien depiction. The criticism of this narrow perspective on the outland is expressed in the three paintings by Portuguese artist Carlos Noronha Feio, who showcases the naïve western imaginations of the unknown Pacific World during World War II: Feio uses images from the book 'Native People in the Pacific World', which was used as a manual to provide American soldiers an insight to the aboriginal world. He prints them on large canvases and subsequently applies abstract forms with paint on top – displacing the focus, rearranging the composition, deconstructing the original perception. Also British artist Richard Parry imports and manipulates original materials taken from another context and turns them into self-reflective objects. 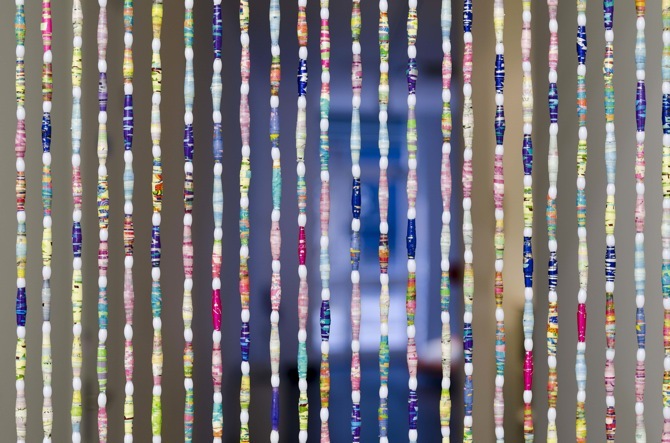 "Expat Sculpture" – a traditional and colourful Kenyan curtain, which has been hand-made by the artist's mother – refers to a typical domestic item from Nairobi. 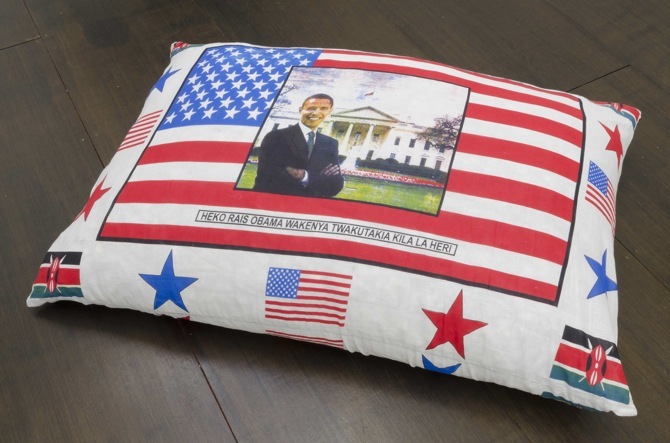 In both gallery rooms Parry also placed "Barack Obama Monument" (2012) pillows, which are made of fabrics (Kangas) from tourist souvenirs bought on a market. The symbolic values of both, the curtain and the pillows, are opposed to each other in their demonstration of tradition, expectation and cliche. 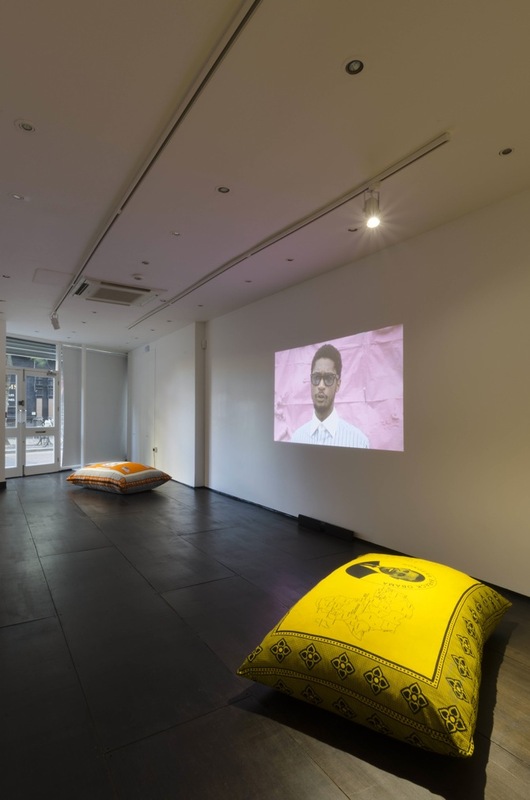 African cliches and stereotypes are critically tackled and teased in the work of performance artist Nástio Mosquito, too. 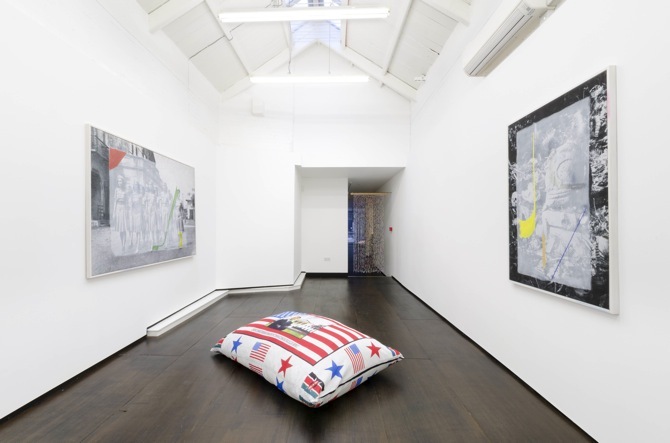 His video trilogy "3 Continents (Europa, America, Africa)" comprises three short satirical lectures, which are held in the form of political public speeches. While improvised maps of the continents are loosely fixed to the wall behind him and surround the open air setting with an amateur feel, Mosquito deliberately announces "I bought Europe". 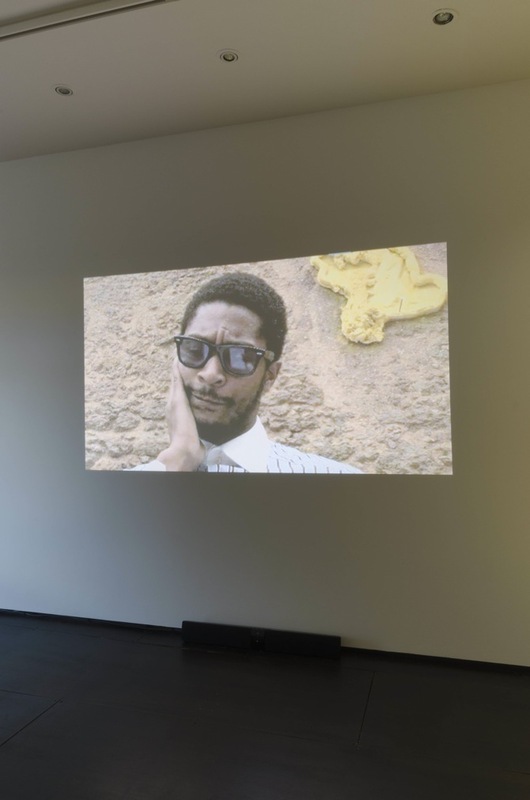 His speeches unfold capitalist systems and suggests that everything in the Western world can be bought, while Africa – the last video in the loop – is simply disposed with a resigning gesture. A bitter, but most of all, a surprisingly humorous act. 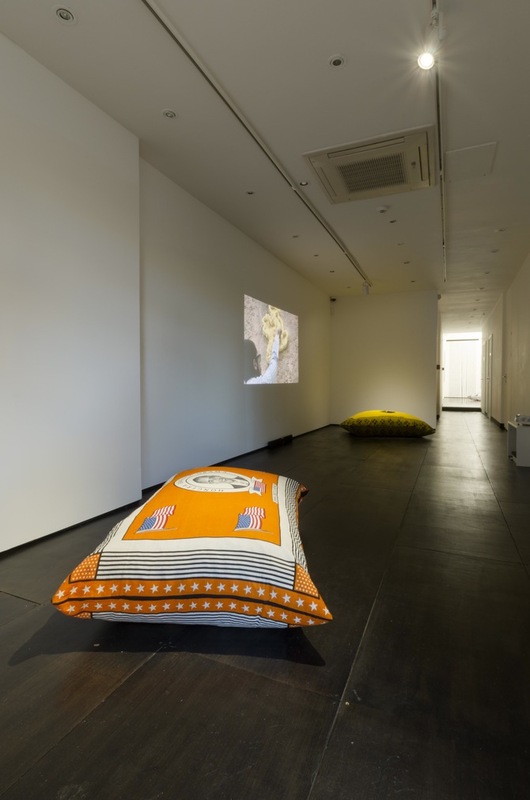 Edward Said's quote about post-colonial research consensus, which forms the title of the show, might be understood as one initial point for the second exhibition at Narrative Gallery. But the criticism expressed by Nástio Mosquito, Carlos Noronha Feio and Richard Parry asks for more than a debate on post- or neo-colonialism. It asks for a new form of debating. For a breaking out of expectations and systems. And most importantly: it allows humor and self-criticism to be a valuable part of the discussion.